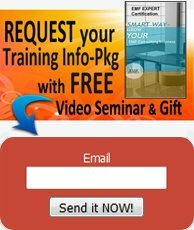 I understand that you offer EMF Business Building training, can you please explain how it works, what it offers, etc? Yes, we offer a business building module as an add-on to the EMF Expert Consultant Certification training. This training is focuses on building your EMF business (whatever area of EMF you specialize in). The training includes various types of home evaluation forms, checklists, easy client reports, numerous consultant resources and support material, as well as a wide range other tried-and-true consultant business tools for marketing. It it is a self-guided training that is open only to certified graduates of our EMF Expert Consultant Certification training. 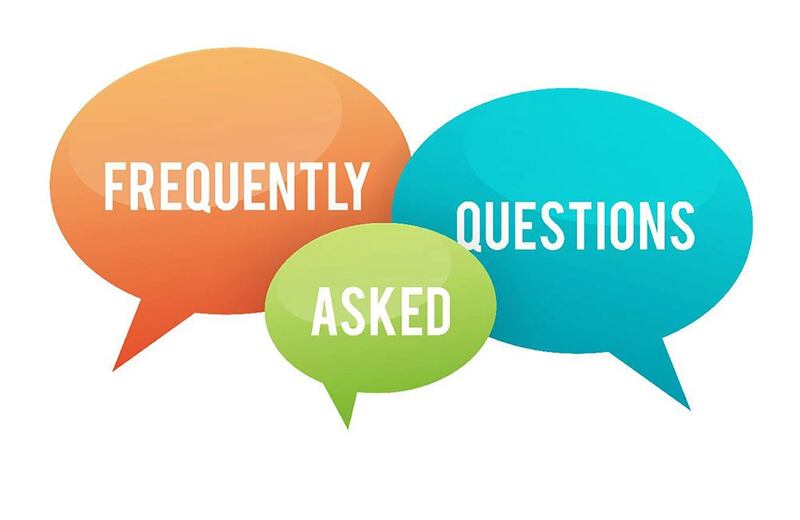 Note: Due to regular the updating of training content, or over-enrollment, It is not always available in the Classroom, so please contact us for the most current info. 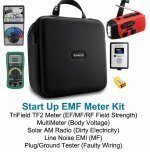 I am interested in providing EMF Products as an income stream for my online business. Can your certification training help me with this goal? Offering reputable EMF products is a very important issue due to the innumerable pseudo products, ineffective products, conflict-of-interest products and trainings, or downright scammy products, enthusiastically offered by wholesale and online affiliate programs. More dubious products such as these, and others, are becoming available online everyday as Electrosmog becomes the new buzzword, and 5G has raised the stakes. Our EMF Expert Consultant Certification Course provides in depth education on EMF detection and protection and naturally that encompasses detailed training on products designed to detect and protect. By the end of the training course you will have extensive hand-on training on a wide range of the most highly respected products, and upon graduation you will have all the training info and business contacts you need to integrate product sales (as an additional income stream) into your practice. By choice, we do not wholesale products ourselves, rather we identify, thoroughly test, prove, and recommend only those products that actually meet the high standards of our professional certification training. After all, when it comes to EMF exposure people's lives depend on trustworthy product recommendations, so maintaining integrity by not having vested interest in promoting certain products enables us to provide unbiased training that is authentically all about tried-and-true quality products. Respected training together with reputable EMF products are key to your customer satisfaction and success in overall EMF business building. I would like to expand my current business by offering EMF services in addition to what I offer now and have my long-standing business be included in your EMF Professional Directory. Is this possible? All graduates of the certification training have the option of promoting/marketing themselves or their services in the EMF Professional Directory (refer to right menu). Not all graduates opt for a public listing, so the directory does not reflect the number of graduates from this training program, it is merely a helpful EMF business building marketing tool if desired. To help you train your staff or train partners in your business, we offer 50% off certification training for the second participant enrolled at the same time (Contact Us with this request to receive a special discount code). This cost-saving or cost sharing gives you a significant financial advantage for EMF business building. Remember we also offer a split payment plan. We can even help you locate additional trained staff by putting you in touch with graduates in your area, or those with similar background to what your company offers, and we also can connect you with numerous freelance EMF Expert Consultants. Does your Certification Training qualify for any business advantages, apart from the obvious (the income potential it represents)? This training also qualifies for Continuing Education credits in many professions (Engineers who must maintain their professional licenses are a good example). Additionally, this course material is also recognized, accepted and/or approved professional development hours by numerous other professions (public health, builders, etc) that are similarly required to complete continuing education in order to maintain professional credentials. Please check with the governing board related to your individual situation. Also, you will want to check with your tax preparer to determine if, in your individual or business situation, the cost of this training may be tax deductible as a business expense (such as claiming a valid cost of doing business exemption) on your income tax return or other taxation filing documents. Do I need to live, or be located, in a large metropolitan area to have a successful EMF Consultant business? Do I need any special licenses or insurance to offer EMF Consulting Services? You will need whatever business licenses are required by your city, state or province; these are usually not difficult to obtain, nor expensive. As for any businesses income tax responsibilities, there are many ways to register your business for income tax reporting purposes and your tax advisor is the one to consult about your individual situation. Similarly, insurance is another personal preference, and an area where a good insurance advisor can offer EMF business building counsel. Consulting business insurance may not be required in your jurisdiction. It also may already be covered in whatever insurance you have. I read in your Training Info Pkg that you prepare/certify students for an EMF Consulting Business that specializes in various areas of EMF depending on an individual's strengths, skills etc. What are the most popular, in-demand areas of EMF Consulting that your students go into? EMF Experts Consultant Certification training is dedicated to EMF Detection and Protection - and that covers a very wide range of areas that a consultant could specialize in. In addition to solid training in EMF residential and office evaluation, mediation and remediation, our training also prepares EMF Consultants to offer in-demand services covering a wide range of EMF related areas of consulting – writing, speaking, health self-care, Electro- sensitivity, EMF product development, film-making, art etc. There are also EMF Consultants who create consulting businesses designed to specialize in advising schools, real estate professionals, new home buyers or builders, new parents, children with behavioral disorders, patients in recovery, aging boomers, and more. Typically these consultants serve markets who's needs they are already familiar with from their background experience or education. While EMF Home Inspections is always a very valuable foundational skill to have there are numerous other areas of EMF Consulting. One of the most popular is EMF Activist Consultant, which does not require any specific professional experience, and it is a key area since the number of concerned citizens and parents is rapidly rising and earnestly searching for help, particularly with the growing awareness of 5G in the media, and it represents a viable EMF business building opportunity in terms of consulting to parents groups, school boards, neighborhood HOAs, legal cases, health care practitioners etc etc. Although, success as a Certified EMF Consultant can take many forms, remember that like any business it is unrealistic to think you can simply hang out your shingle and expect clients to flock to you. EMF business building takes dedication, time and commitment. Have More Certification Training Questions?